Sometimes I think that all of this exposure to disaster-themed movies should make us all pretty prepared for the inevitable catastrophic event that will affect our lives: the zombie apocalypse. We’ve seen survivors flee from rage-fuelled fiends in 28 Days Later, people battle the world’s most rapidly changing climate in The Day After Tomorrow and even survive a hulking great asteroid hitting the Earth in Deep Impact. Hell, all Elijah Wood needed in that last one was a bike! He could outrun the oncoming tidal wave. In short: disaster epics are nothing new. What is a bit more novel is the use of the 2004 tsunami that devastated South East Asia – enter The Impossible. The Impossible is based on the true story of a family that was in the wrong place at the wrong time on 26th December 2004. Here the family are portrayed by Ewan McGregor and Naomi Watts as husband and wife Henry and Maria, and Tom Holland, Samuel Joslin and Oaklee Pendergast as Lucas, Thomas and Simon: their three children. Ultimately, the tsunami tears the family in two, separating Henry and Maria beginning them on a desperate quest to find their children and each other in the tsunami-ravaged coastal areas of Thailand. And what a story it is. Before I get drawn into the plot and acting, what really must be talked about first is the cinematography and shooting of the tsunami scenes. Quite frankly it’s amazing how these guys pulled this off. You never get the feeling that this is the work of camera trickery or some elaborate staging – it just feels real. This is especially noticeable when the camera shoots from high above so you can see the wave ripping through the hotels and houses like a red hot knife through butter. It’s truly astounding. But what really struck me about the movie was how emotional it was. 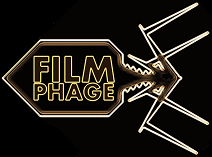 The Phage is never one to let his emotions get the better of him at the movies – he’s cold and remorseless. Well, he has been ever since he cried when Jenny died in Forrest Gump when he was a lot younger. That was a sad moment! But since then? A heart like stone. Having said all that, I’m not afraid to say that The Impossible really stirred up those emotions. I defy anyone to not feel touched by some of the scenes in this film. I don’t have little Phagelings running around, so I’m not even a parent – therefore the emotional damage has got to be exacerbated for any parents watching this film too. Look out for this scene… it’s a heartbreaker. What brought up these emotions? Sheer acting talent. Naomi Watts is acting her chops off in this film – you really feel her desperation and also wince with every one of her injuries as she struggles to track down some sense of normality. An utterly convincing performance that surely has to be in with a nod in this week’s Oscars nominations. However, credit also has to go to Ewan McGregor here too. The scene that really tore my heart to pieces was one of him managing to make telephone contact with a relative back home. His delivery of the ensuing speech could not be more emotional and evocative. It really feels as if both McGregor and Watts had tapped into the events of the day and really translated those emotions for the camera. Furthermore, at the opening of the film I was ready to dismiss all of the child actors as “caricatures” and “not Pierce Gagnon“, but even they really came into their own as the film progressed. Although Tom Holland is arguably given the bigger slice of camera time as the eldest brother Lucas, all three really round out the picture well and capture the innocence, sadness and anger that comes with separation. I should hope that it’s quite obvious from the fact that it’s based on a true story that someone at least survives the tsunami. After all, who would tell the story if the entire family was wiped out? No-one. Having said that, finding out exactly who survives and how they manage this is truly enthralling. I must confess that I approached this film with some trepidation because I couldn’t see how a film about separation could sustain my interest over its two hour run time. All of these feelings soon disappeared by the time the wave hit; owing in no small part to the performances on screen and the riveting story. As I’ve said countless times before, it’s sometimes the true stories that seem even more unbelievable than those cooked up by banks of writers in Los Angeles. Sure, the story’s been tweaked a little by director Juan Antonio Bayona to give it that on-screen flare and drama, but at its core you can’t help but buy into the fear and trauma of these individuals. And although some of the third act scenes feel slightly too forced and almost cartoon-esque with its near-encounters (you’ll see what I mean), the film is testament to some fantastic film making and really capturing the story of those that were part of this natural disaster and also delivering a story that can never be told by so many others that were taken by it. The Impossible is an emotionally devastating piece of film making that should be applauded for its technical prowess, as well as its performances. All five of the actors portraying the family really captured the sheer desperation and angst that must have been felt by those that were there on that day. I’m not normally one to buy into films that are so flagrantly emotional, but The Impossible really hit all the right notes and truly is a life affirming film – it’s not just a clichéd expression used on posters. So although my years of training for the end of the world has been delivered by years of exposure to Hollywood and its tales of doom, I don’t know how I’d actually fare if the time ever came. Except for zombies of course… I always have Zombieland to teach me how to survive that particular conclusion. The solution? Double tap the ghoul, remember that zombies can’t climb and just go and hang out with Bill Murray for a bit. Maybe try and convince him to take that role in Ghostbusters III too.